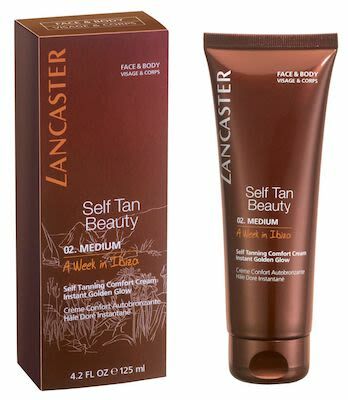 Result of 40 years Lancaster tanning expertize, Lancaster creates Self Tan Beauty, a new generation of self tanners that recreate your natural sunny weekend or holiday glow, even without sun. This comfortable, hydrating cream, with Coconut Water extract, covers your skin with a satiny sheen, discreetly tinted for foolproof application and an instant golden glow. Deliciously scented with an addictive fragrance that brings back your holidays. Ideal for all skin types.